Last night, Travis and I had a date night. We headed up to Louisville to the KY State Fair and we had tickets to the Sugarland concert as well. Luckily, the temperatures were still bearable so it wasn't TOO hot walking around the fair and eating all that fair food. I thought I would share some pictures from our night. 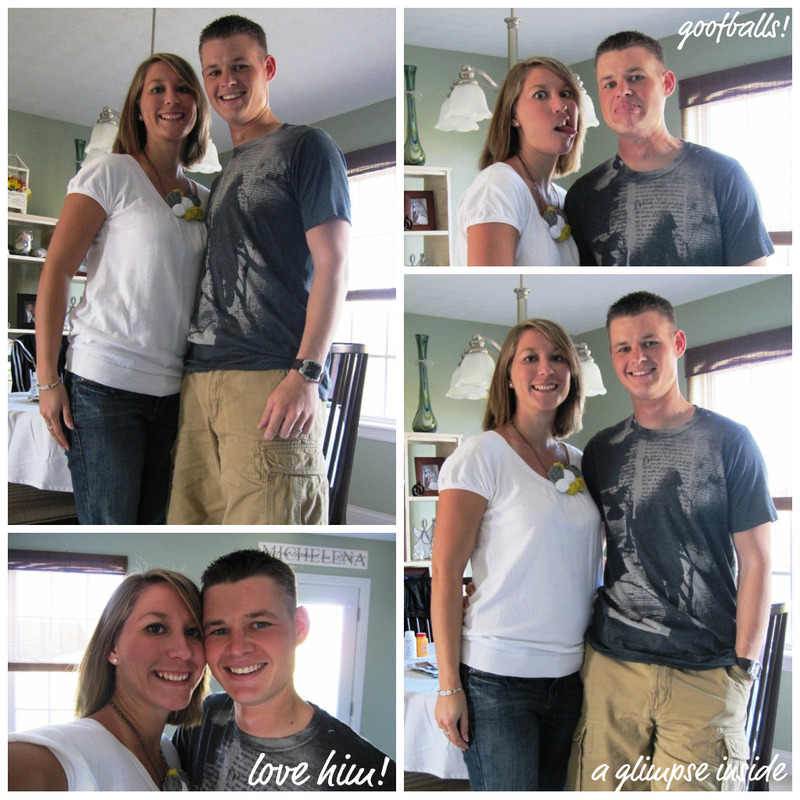 I wanted to take some pictures of us before we left. Thank goodness for timers on cameras! Little Big Town opened up for Sugarland. 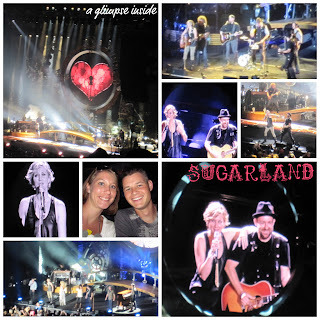 And here are some pictures of Sugarland. The concert was awesome! We saw them one other time when they opened up for Keith Urban so I was so excited to see them as headliners and I was NOT disappointed! We have a party to go to in TN this weekend so I'll share about that next week. And hopefully, I will get to share something OTHER than Travis and I next week as well! I hope everyone has a fabulous weekend! See you Monday! Oh and btw.... If you just LOVE the necklace I have on it came from Mandy over at Mandy's Yellow Corner. I actually was so lucky to win this necklace from her and I mentioned it in this post. So if you love it, check out Mandy's blog or her etsy shop! 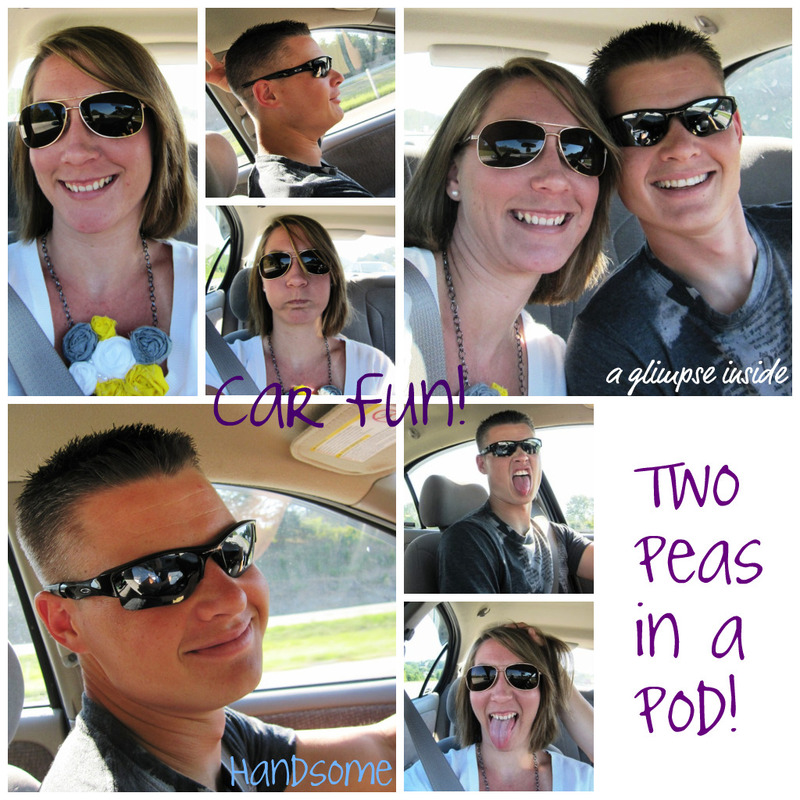 It is amazing what date night does for a marriage! I love it~! What a great night! How fun! Looks like you guys had a good time. I can't wait until our baby is old enough for my husband and me to have a date night out. FUN night out! 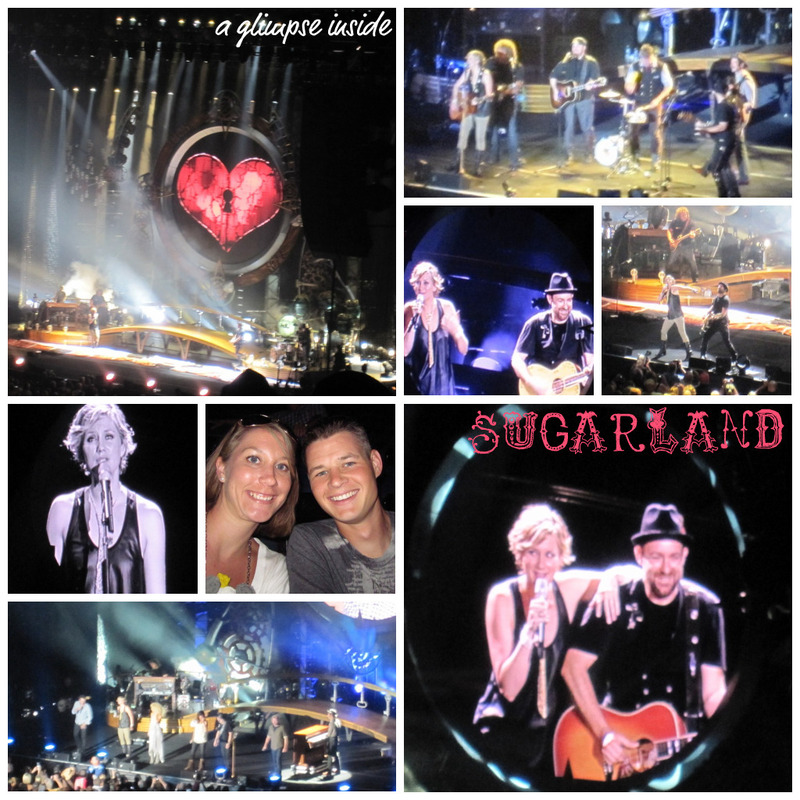 I love sugarland saw her with Keith Urban...great time! you guys are two peas in a pod! Don't you just love date nights!! You look like you had a great time and I just love Sugarland too :) You looked very cute and just love the necklace!! Have a great week! I live for date nights.